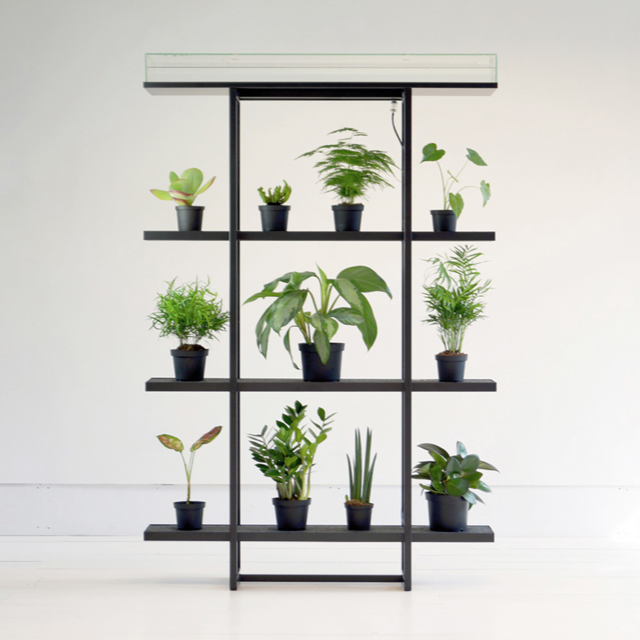 Pikaplant One is a vertical garden with a passive ebb-and-flow irrigation system. It automatically waters your plants using zero electricity. One mimics the natural wet-dry cycle of ground water, letting your plants determine how much water they drink. Great for schools, open plan offices, hotels, restaurants and cafés, a Pikaplant One filled with fresh herbs, bright florals, or lush greens will bring a breath of fresh air to any interior. 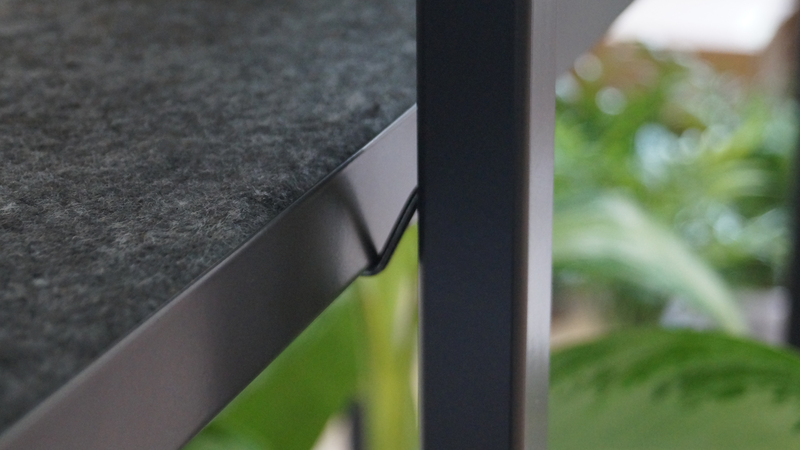 Pikaplant One is also wireless, and we designed it to work as a modular green wall or a room divider. 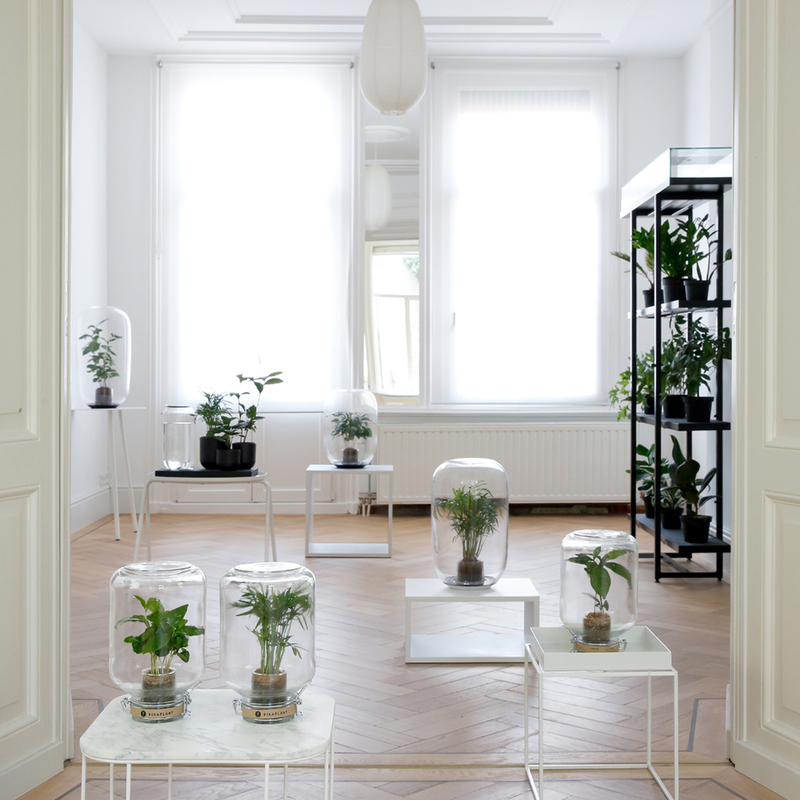 The wet-dry cycle of One was designed to work with the majority of indoor plants. 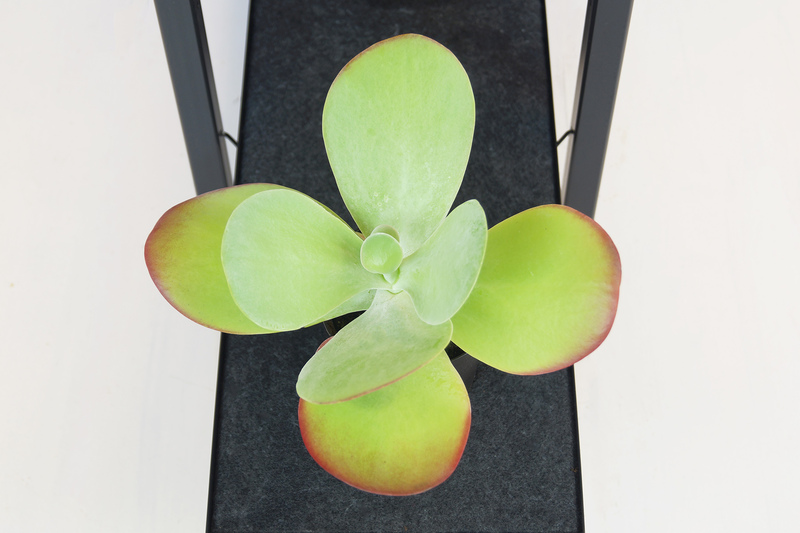 Some houseplant species help to regulate air humidity and remove trace toxins from the air. NASA researchers recommend having one potted plant per 10 squared meters to clean indoor air, so pick your favourite plants, enjoy, and renew whenever you want. 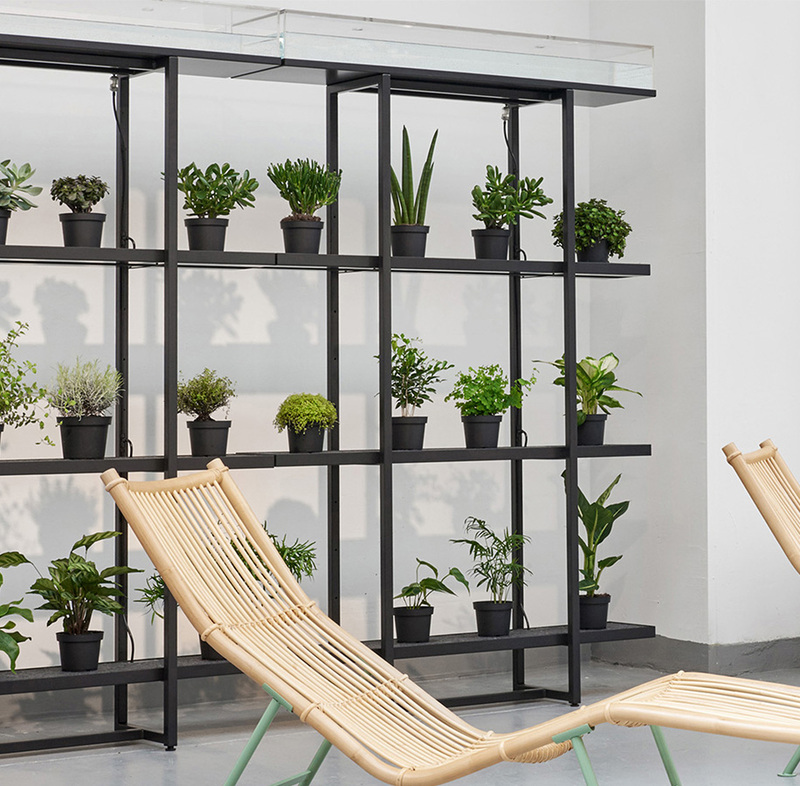 The self-watering shelves in One also act as passive air humidifiers, contributing to a healthy indoor environment for people to live and work in. Improving well-being increases your productivity and creativity, and reduces stress levels. One is produced to order, in our standard size or with custom dimensions.